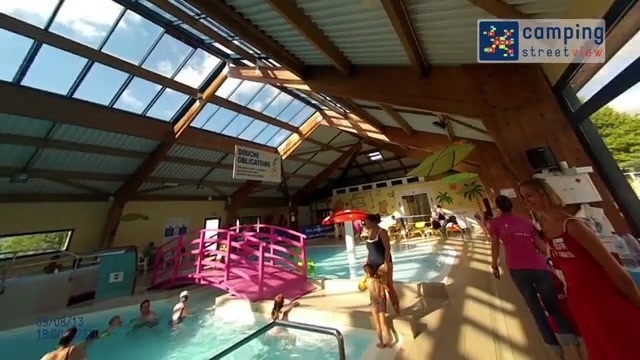 Domaine de Kerlann’s great location, on the coast of southern Brittany, means that it is within easy access of all you need for a perfect holiday - beautiful sandy beaches and coves, quaint towns full of history to explore, and many attractions to keep youngsters entertained. The parc itself is surrounded by shady woodland, about 1 mile from the artistic town of Pont Aven. The heart of the parc is found at the amazing swimming pool complex - both indoor and outdoor pools with a water chute, a toddler pool and a unique splash zone. Just above the pool is the bar terrace where you can sit with a drink, enjoying the sun and watching the pool activity. In the evenings, this area comes alive with entertainment, starting early for the youngsters with games and discos, and during the season you can see local celtic dancers on the terrace in full dress and enjoy the traditional Breton markets.